The programme designs bespoke packages for each student, depending on their needs levels and requirements. Applications can be made by practitioners (using a referral form) or by individuals themselves. We specialise in working with young people aged 16 plus, who have had difficulties with attending mainstream school or college. This could be because of social and emotional difficulties, anxiety, learning difficulties, illness or family issues such as being a young carer or being in care. We offer a nurturing environment and our small groups enable learners to feel secure and develop at their own pace. We take time to get to know our student’s individual needs, interests and hopes for the future, so that we can develop an individual plan with realistic and achievable goals. 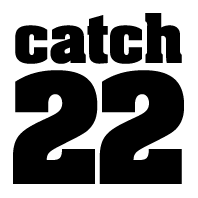 There is one to one support for those who need it, and every student has a keyworker who will work with them throughout their time at Catch22. We work with students to help develop their skills and confidence, and arrange quality work experience placements with local companies. Many of our students have been out of education at some time and are not quite ready to move on to college, however, on completing a programme with Catch 22, all of our students last year progressed to apprenticeship training, employment or further education. Work experience and a reference to support job applications. Visitors to make an appointment with Lorraine before visiting site.